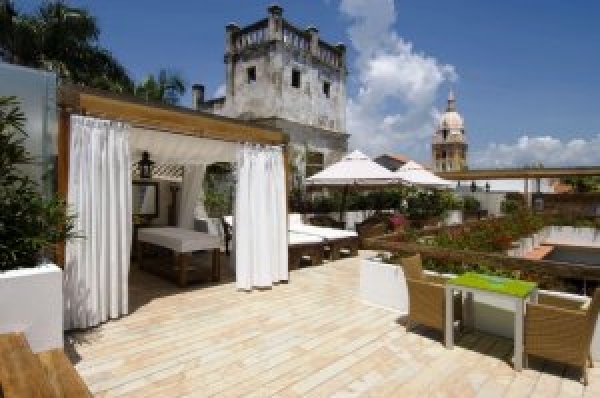 This adults only Hotel Boutique LM shows off with a rooftop swimming pool with breahtaking and unique views over Cartagena City. 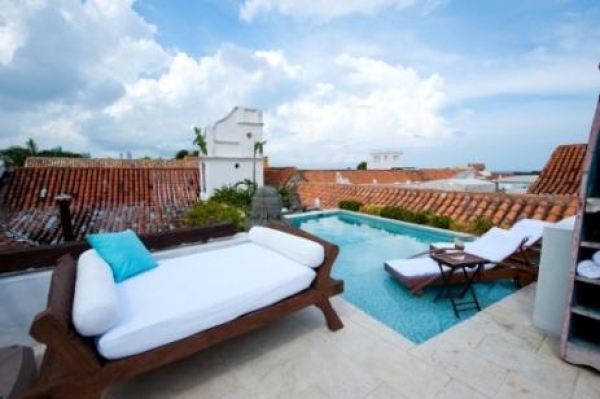 Enjoy a swim or a relaxing moment in the hot tub, over the citie's roofs. All seven rooms of the hotel are stylish decorated with free Wifi, flatscreen television, DVD player, private bathroom and some even with balconies and elegant bathtubs. Breakfast is served daily with the world famous Colombian coffee and a wide range of tasty local products. The restaurant offers international dishes in a modern atmosphere. Ask at the reception for private Yacht tours or massage sessions, which can be booked.